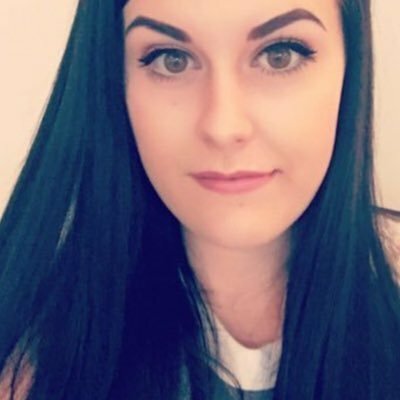 Glossier Generation G Lipstick Dupe? Swatched: Top two are Colourpop, Bottom two are Glossier. 10% off your first Glossier order - HERE. 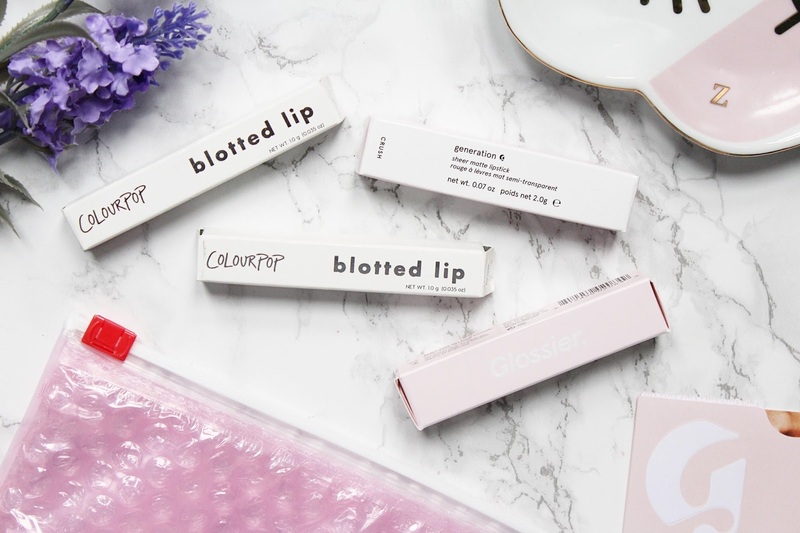 Another brand that I am a massive fan of is Colourpop and I had been recommended the Blotted Lips a few months ago, I actually reviewed them (you can read that post here). 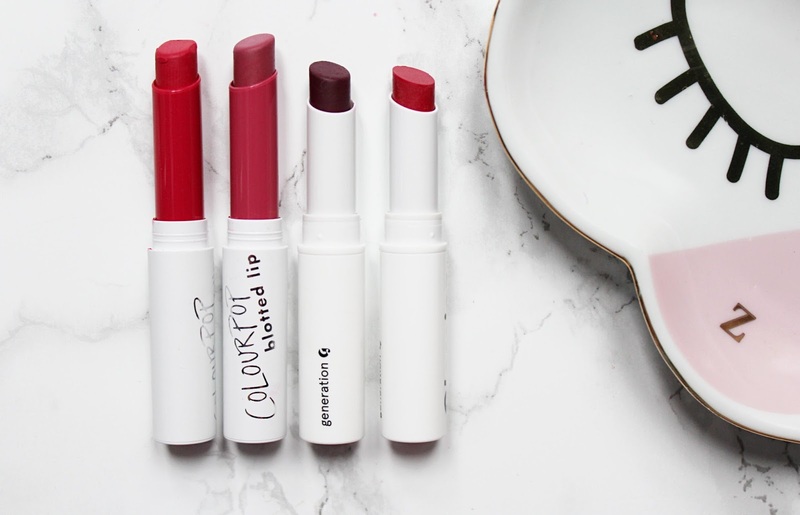 When I first tried out the Generation G Lipsticks, I was instantly impressed with how comfortable they felt on the lips but I instantly thought of Colourpop. I thought the Colourpop Blotted Lips were comfortable on the lips but since trying the Glossier versions, I hate how the Colourpop ones feel on the lips. You can see just how similar they look, both of the products come in white sleek tubes with similarly shaped bullets. One of the very slight differences in the appearance in the packaging is that the Generation G's from Glossier are in slightly fatter tubes and are shorter whereas the Blotted Lips from Colourpop feature a sleeker, longer tube. 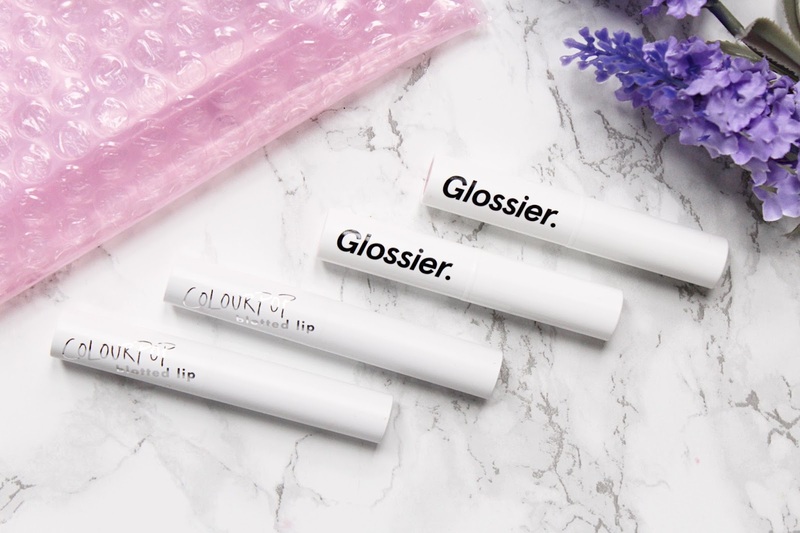 The Glossier lipstick tubes have a glossy finish and the Colourpop versions as a matte finish. While the Glossier tubes feel much better quality, I do like how the Colourpop tubes have a colour preview when you pop off the cap. Both of these products have sheer matte formulations but both are incredibly buildable, you can see in the swatches just how buildable they really are. With both products, you can do one swipe for a sheer wash of colour and with a few swipes, you can achieve a bold lip. Having tested them both, they are equally long-lasting on the lips and leave behind a stain so you don't have to rush to reapply them. Both to be extremely lightweight on the lips, they are basically undetectable once applied but the Blotted Lip isn't quite as smooth and you can slightly feel it on the lips. 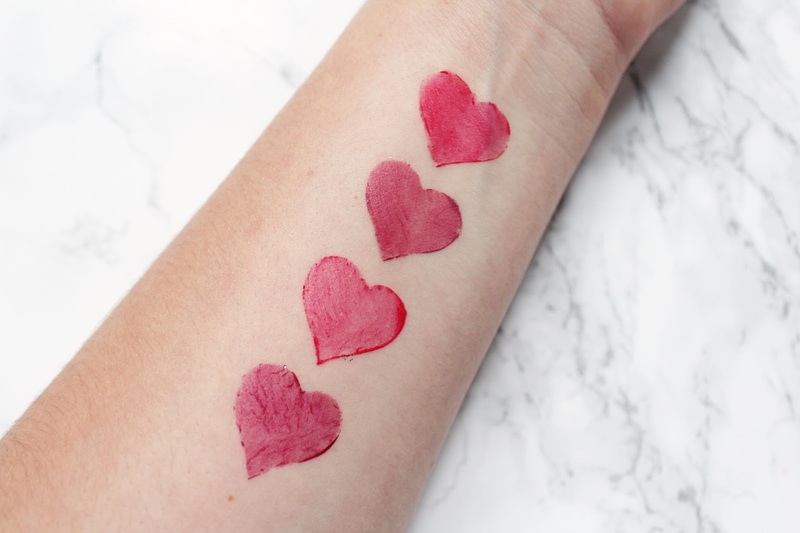 The Glossier lip product glides onto the lips with ease but the Colourpop Blotted Lips do tug slightly because they are slightly drier. Of course, my shades aren't the same but they are essentially the same product with the formulations. This is me being extremely picky and if I had to chose a favourite I would go for the Glossier versions purely because they are ever so slightly more hydrating and comfortable to wear throughout the day. But then to counterpoint that, I just need to apply a little lip balm before applying a Blotted Lip and it's no issue. But when it comes to the price, I would personally say go for the Colourpop versions, especially if you are on a budget. The Blotted Lips are just under £4 each and the Generation G's are £14 each. You do get double the amount of product from Glossier however, you get 2g per Generation G and 1g per Blotted Lip.